Classic does not mean old fashion. Arte represents 'classic' in a modern composition. The purity of the white high gloss surfaces exudes lightness while the artistic veins of the white marble quarts lends an air of classicism; achieving a timeless and unique look to any home. 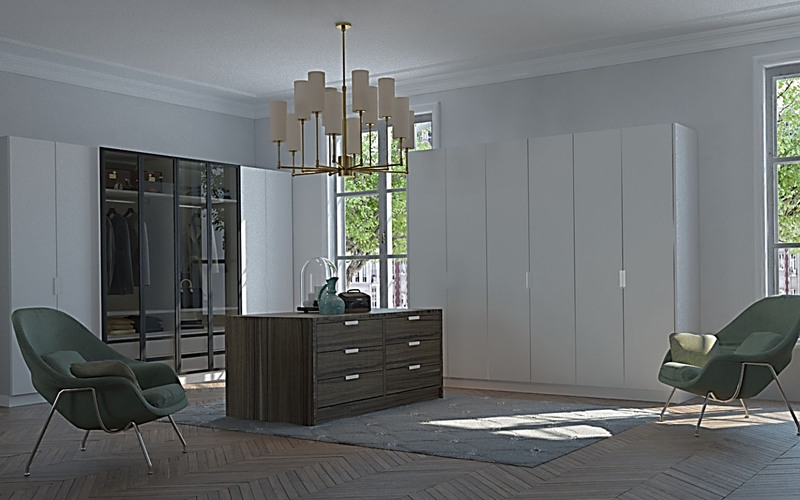 Elegant tall units combine functionality with style. 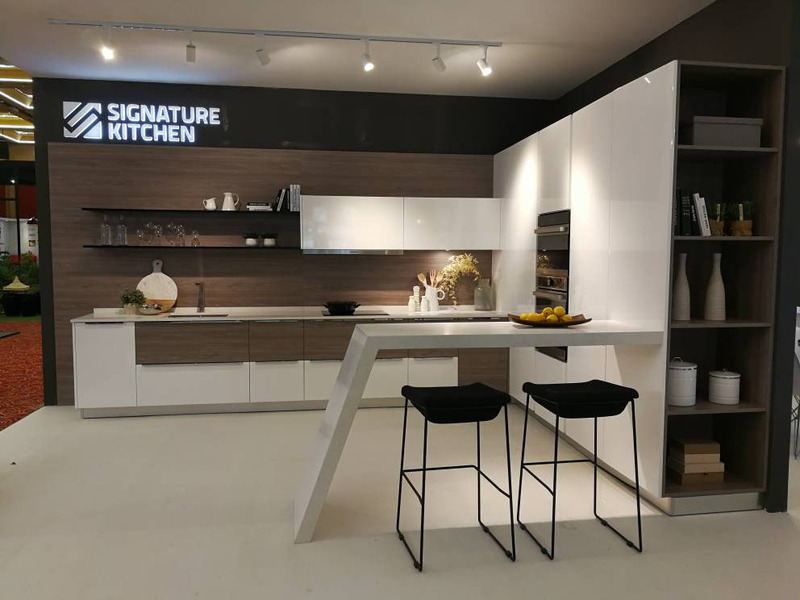 With a stylish and sleek island that is clearly a form of art, one experiences a freedom of expression from conventional kitchen counter tops. ARTE - the starting point of your creative home endeavours. Matera creates a unique appeal with its metallic effect and handle-less aesthetics, catching the eye with dynamic, delicate scratches that create the special effects of brushed steel. 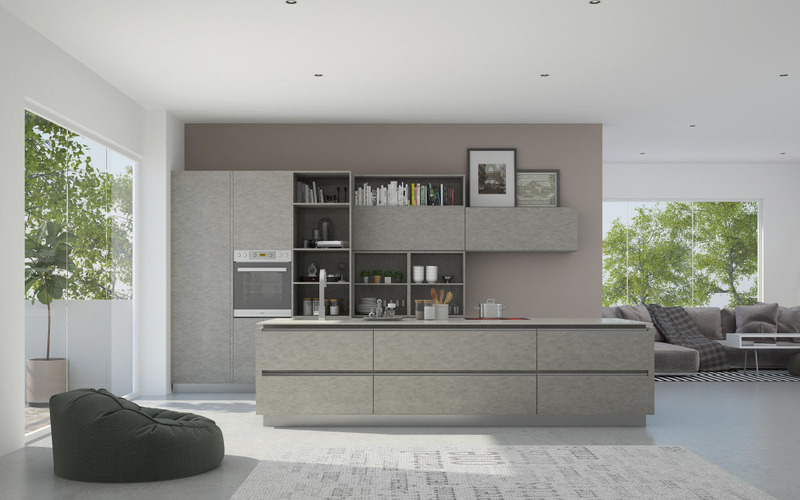 A unique combination of sleek lines and open shelves turn the kitchen into a personalised living space. MATERA - from the Sleek Linear collection - for a modern, definitely different kitchen. 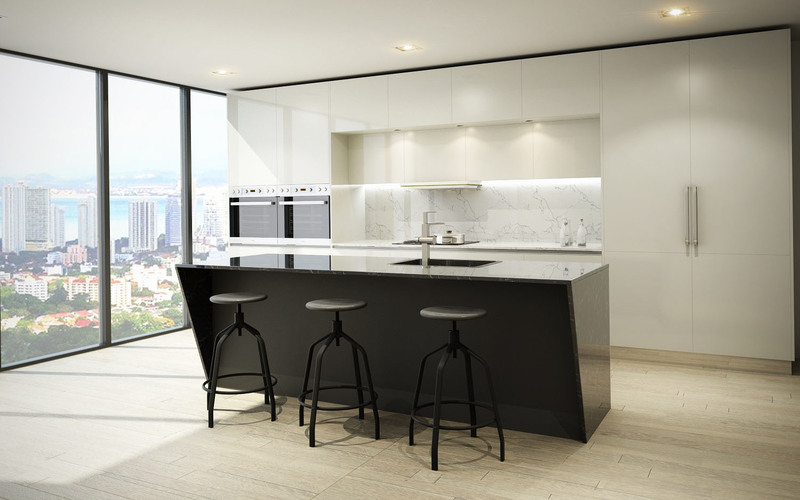 A New Twist to the Minimalist Kitchen Design. Wood is back. Because it exudes warmth and naturalness, wood is timeless, and will continue to enjoy great popularity over time. The earthly tones of wood, distinguished by its graceful horizontal wood grains, forms an exciting contrast with the smooth, glossy finishing of the glass surfaces. Marbled effect in the Quartz worktop and splash back adds character and an air of luxury to the entire kitchen system. 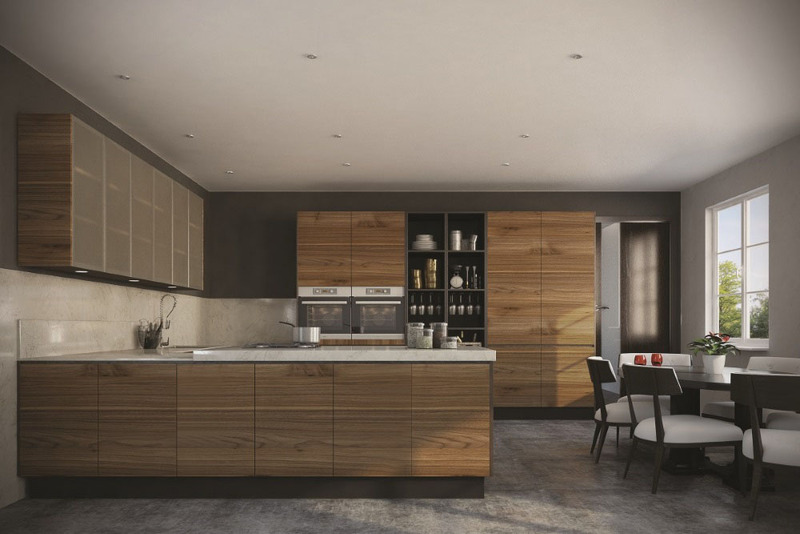 The Virginia Walnut collection - creating a new twist to the minimalist kitchen design.